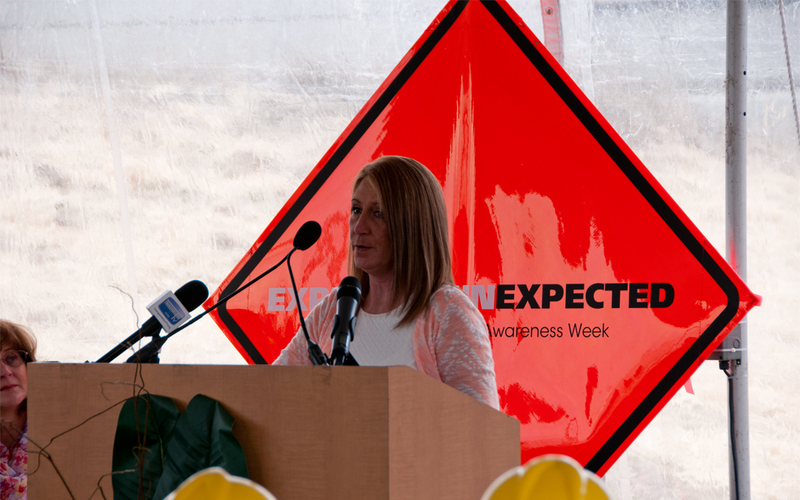 With a warning to “Expect the Unexpected,” ARTBA and industry partners launched National Work Zone Awareness Week during a March 24 media event near an Arlington, Virginia construction site. Each year, about 600 people are killed in roadway work zones; on average one in 10 are workers. According to a recent OSHA report, 70 percent of the “struck-by” deaths in work zones are caused by motorist intrusions. The National Work Zone Awareness Week Executive Committee is comprised of representatives from ARTBA, AASHTO, FHWA, ATSSA, AGC and departments of transportation from Maryland, Virginia and the District of Columbia.